Breakfast was quite good. Considering the quality of the hotel, the bed was quite OK.
Room and bathroom clean, breakfast could be better for 10 €/person, but what was on the table - was fresh and tasty, the coffee was good :). Every morning the paper cups, teabags, sugar, coffee in the room was available, in case if its consumed (kettle available in the room). I particularly liked the comfortable bed, the pillows and the light blanket. The location was great to get to the center. Parking enough available and Wi-Fi also free. The front desk staffs were welcoming. Breakfast was good. Restaurant in the hotel had a simple menu, but saved me the trouble of figuring out where to go for dinner, especially during a night stay. Good breakfast and personnel is informative and attentive. 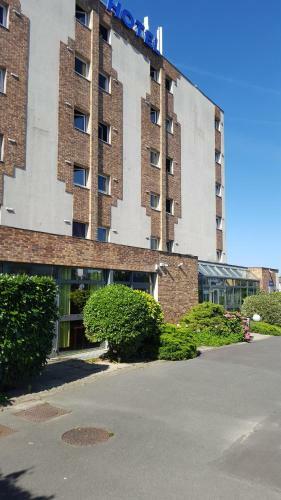 Ibis Budget Hotel Fresnes a86 is a comfortable and affordable hotel just 6.2 miles from Orly Airport. The RER B takes you to the heart of Paris in minutes. Rooms are equipped with private bathroom, TV and free Wi-Fi. Breakfast is served daily. Staff at Ibis Budget Hotel Fresnes a86 are welcoming and will offer good advice and directions for visiting Paris. 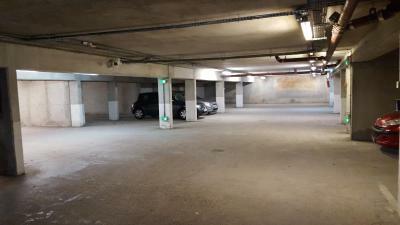 Underground parking is available with an extra cost. When would you like to stay at Ibis Budget Hotel Fresnes a86? 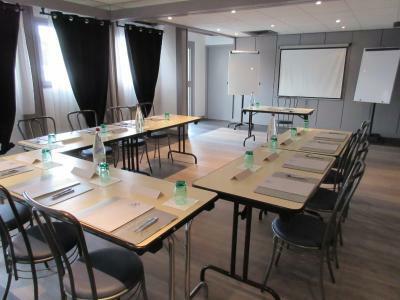 House Rules Ibis Budget Hotel Fresnes a86 takes special requests – add in the next step! Ibis Budget Hotel Fresnes a86 accepts these cards and reserves the right to temporarily hold an amount prior to arrival. Late arrivals and no-shows: guests are required to check in before 23:00. Please note that the room may be resold after that time. If you cannot change your arrival time, please call the number provided on your reservation confirmation before 23:00 local time. The restaurant is open Monday to Thursday from 12:00 to 14:00 and from 19:00 to 22:00. It is also open on Friday from 12:00 until 14:00. Very low standard hotel carpet was extremely dirty. Didn´t really want to walk on it. Was smelly and dirty, from the entrance to the room. The hotel has different name not even ibis . Had to look for the hotel 2 hours . Room cold No receptionist Security guard gave me the room keys with no single word . Just that he’s new I. The hotel. Again the worst thing is the hotel has differ name not even ibis . Not sure if this is genuine!!!??? We arrived at 12:30pm. The guy at reception checks a HAND WRITTEN 70's agenda paper and tells me my name is not there. After a lot of insisting (he says in very poor english he does not care what booking says on my paper, only his list is valid), he calls soneone by phone and pulls out another paper list (longer) where he finds 1 room on my name. I show him i have 3 rooms booked, i need to spend 10 more minutes insusting, checking with him line by line till he finds the other 2. Pathetic Booking works with such hotels. Rooms were much older than the pictures, you could hear other rooms. It was dirty and they didn’t do regular room service I.e changing the bed sheets which resulted in me getting the worse insect bite that caused an allergic reaction and it ruined my stay in Paris. I had to immediately go to the hospital when I came back as it caused major uncomfortable spots and inflammation. They did refund me for one night and change my room but all that could have been avoided if they had done regular day to day room service cleaning. Poor noise insulation, no air conditioning system, had noisy neighbors in 415 who were even smoking in the room, so in my 417 it was noisy and smelly (b.t.w. - there is a door between 415 and 417 for some reason, which helped the noise and smell to get into my room). Bad thing, that people at the reception has a poor knowledge of English language. . That was the reason I did not called the reception to say about smokers in the room - had no mood to spent time explaining what I want at 2AM. Though receptionists really tried to explain and answer to all question we had, when asked about travelling into the city and around. The staff could not speak English so well. Staff initially could not give us both rooms we booked, because "it was not on their system". After much discussion they managed to get us the 2nd room we had booked. Some lights in room did not work. Remote for TV did not work. Strange smell inside the room. Noise from the others rooms, V bed not very comfortable.